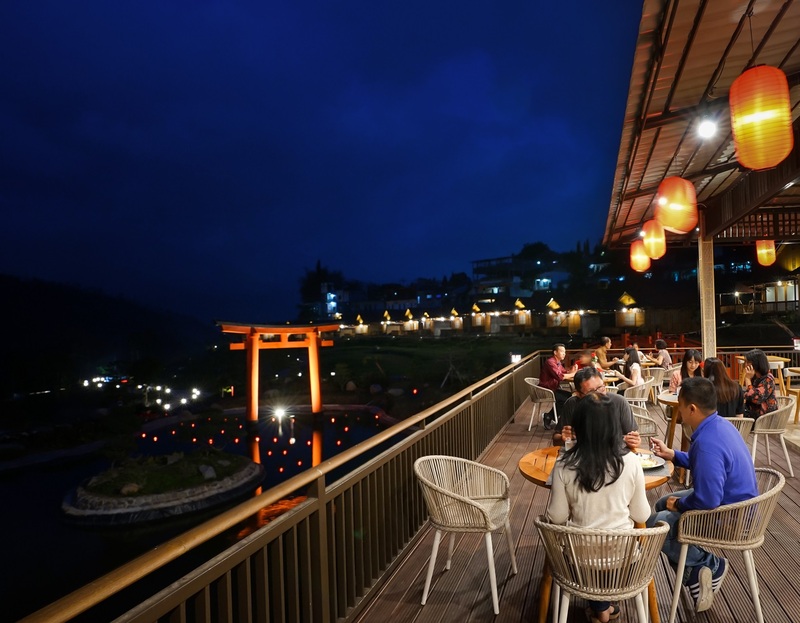 The one and the only natural hot spring resort and Japanese restaurant in Batu, Malang of East Java. 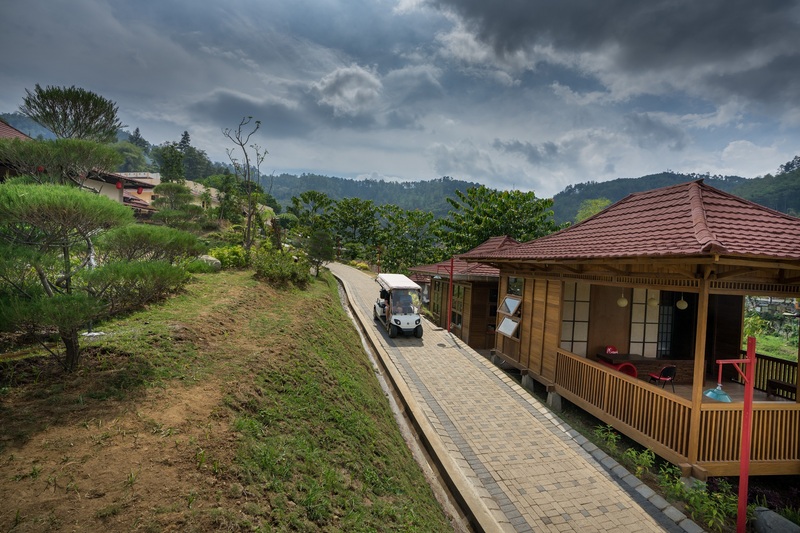 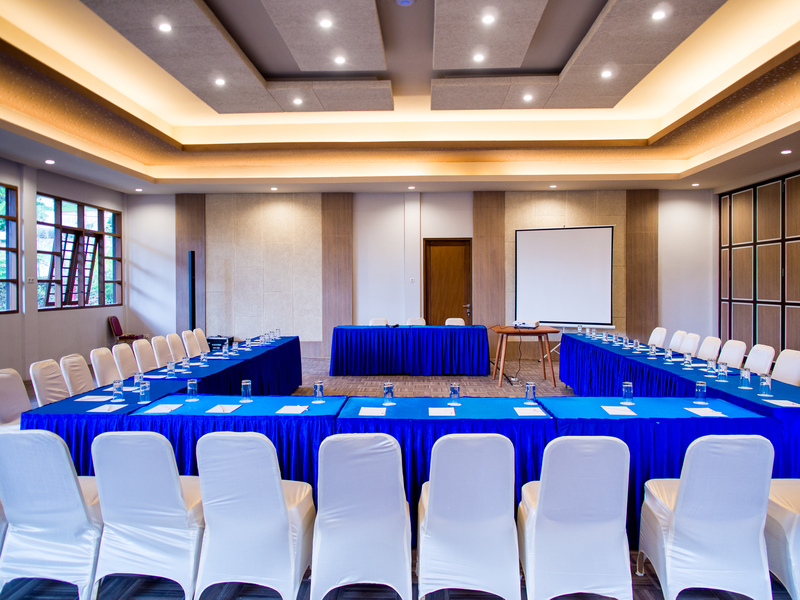 It is ideally located in the amidst of lush pine trees scenery of the mountainous background in Batu, Malang. 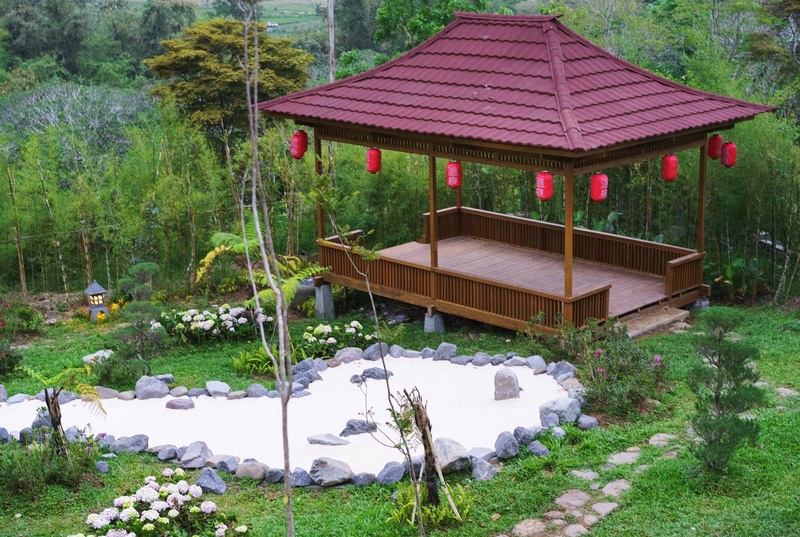 This is the ideal place for relaxing your mind and body . 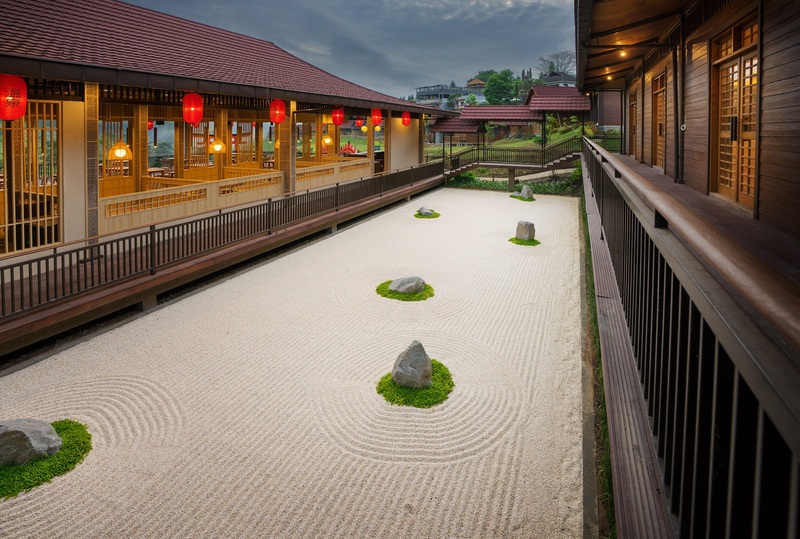 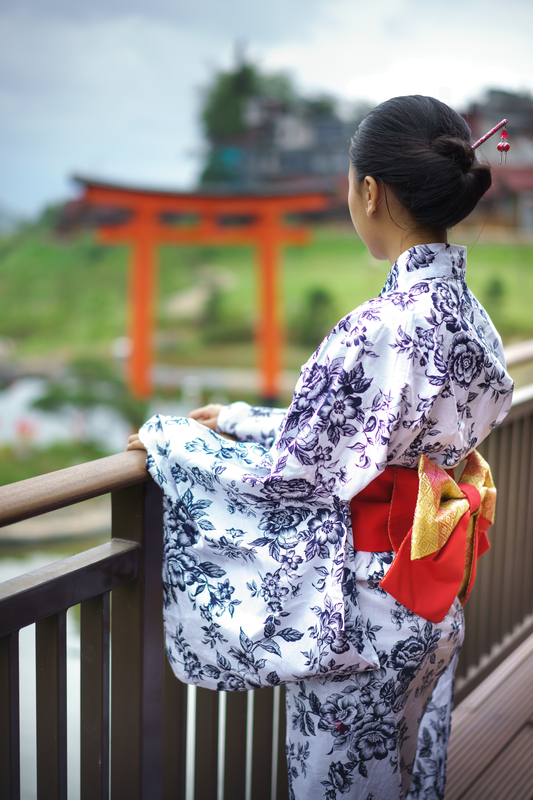 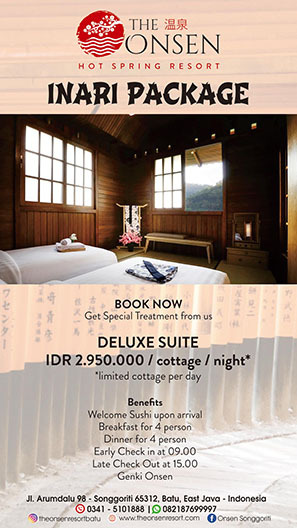 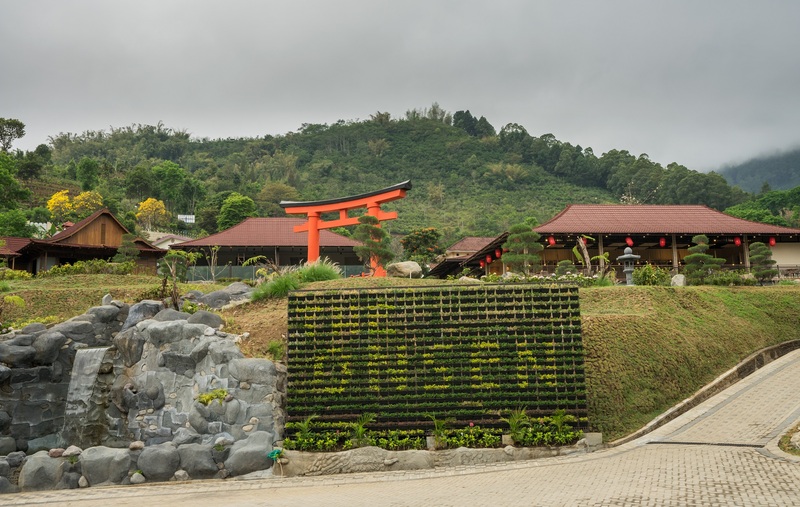 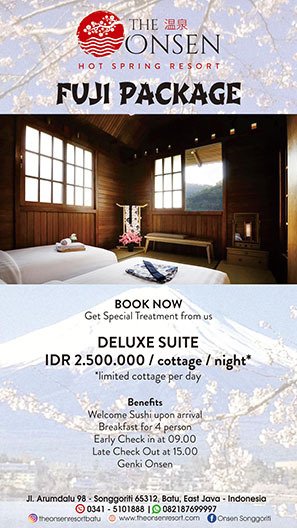 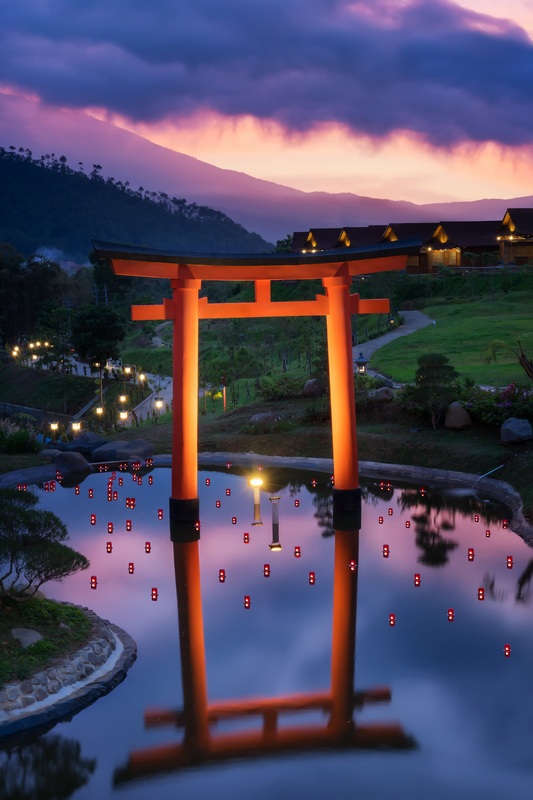 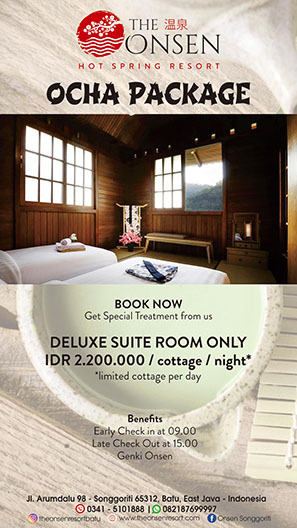 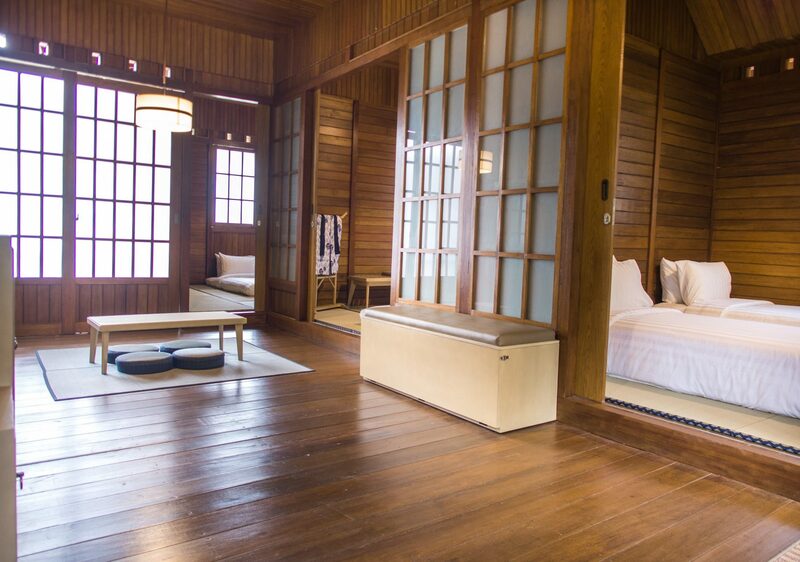 Feel the uniqueness of our Japanese ambience and relaxing moment at The Onsen Hot Spring Resort. 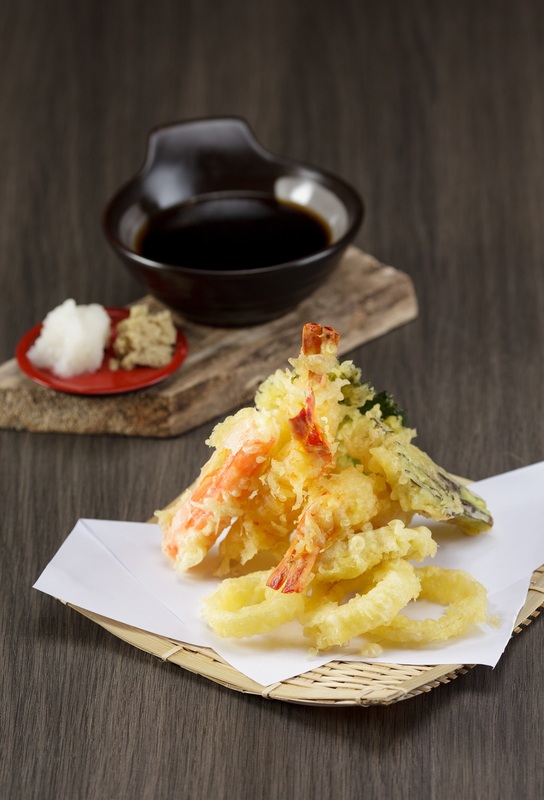 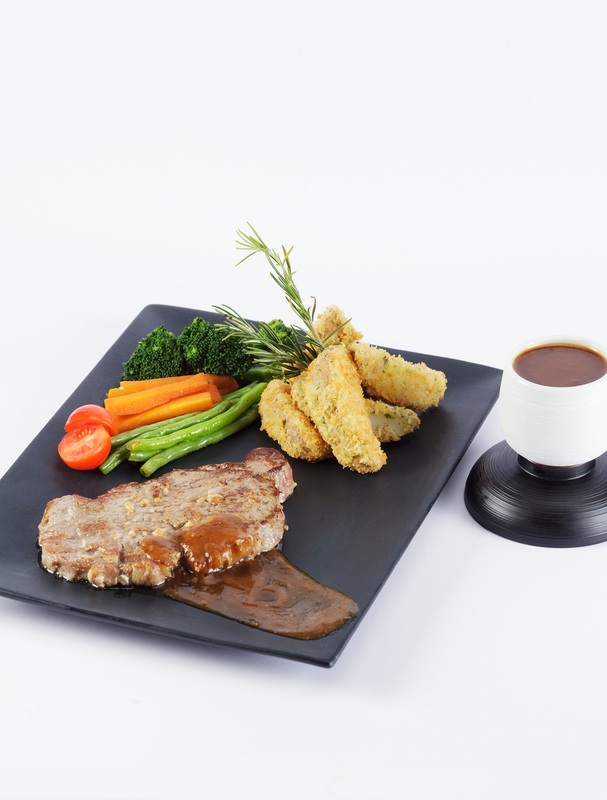 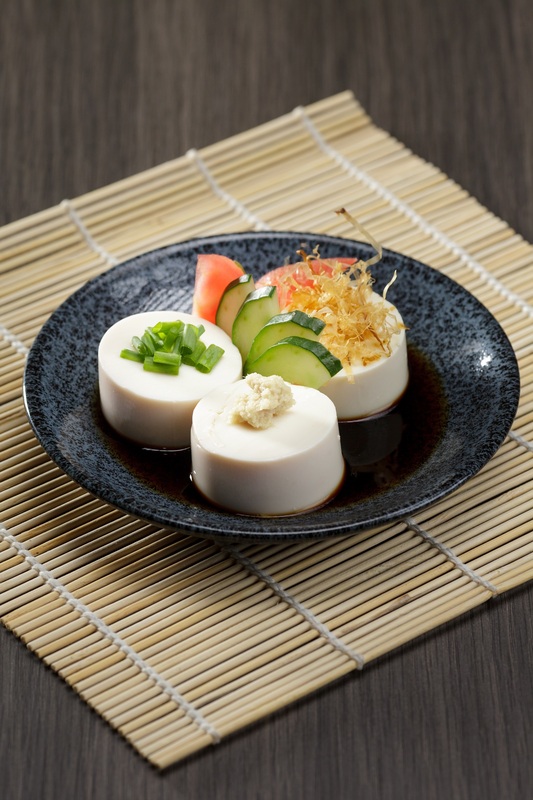 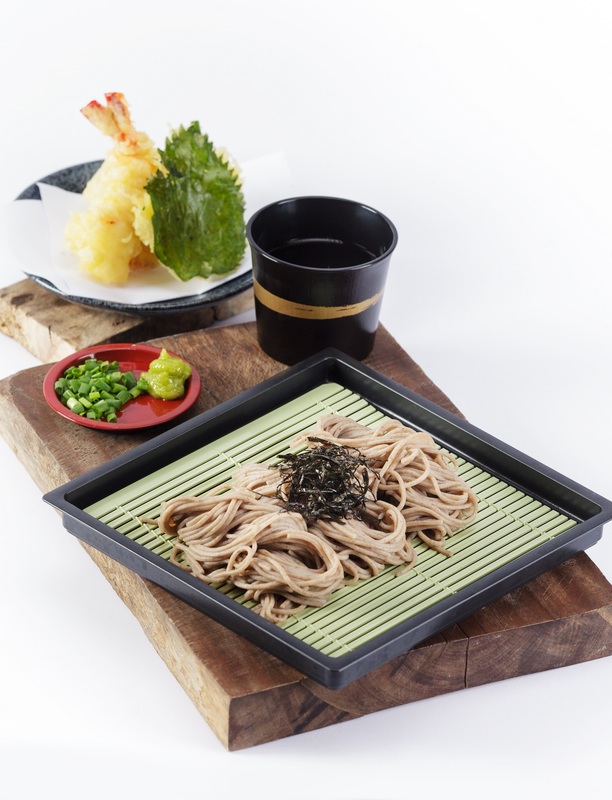 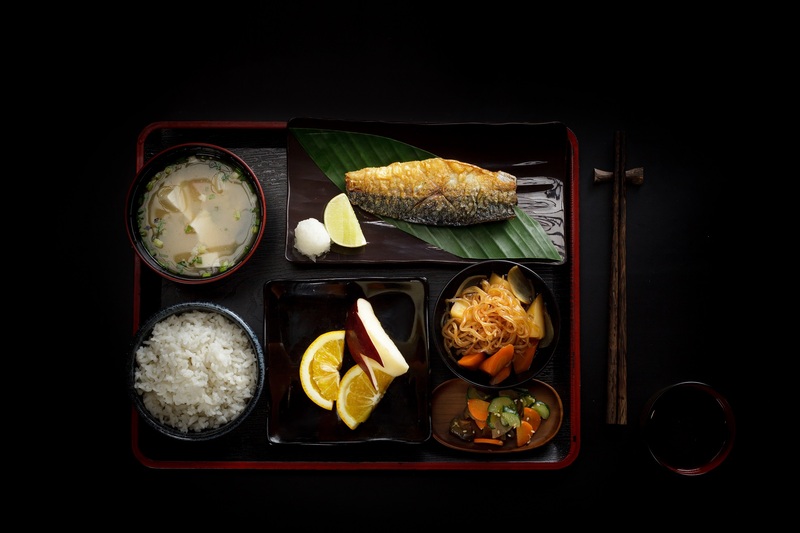 Our Fushimi Restaurant serves you primarily the authentic Japanese menu and secondary the Indonesian and western in the Japanese ambience and it can accommodate 170 seats including two private and four semi private rooms.